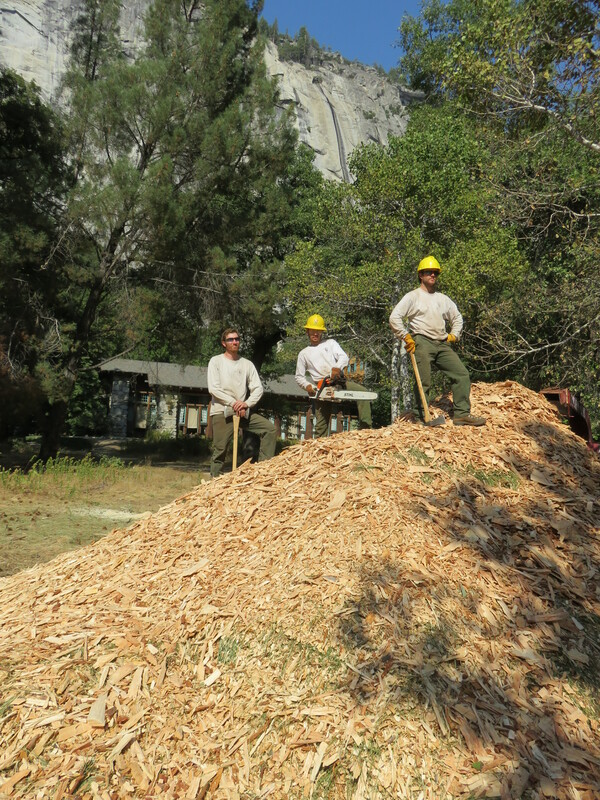 Cal-IPC, in cooperation with the California Dept. 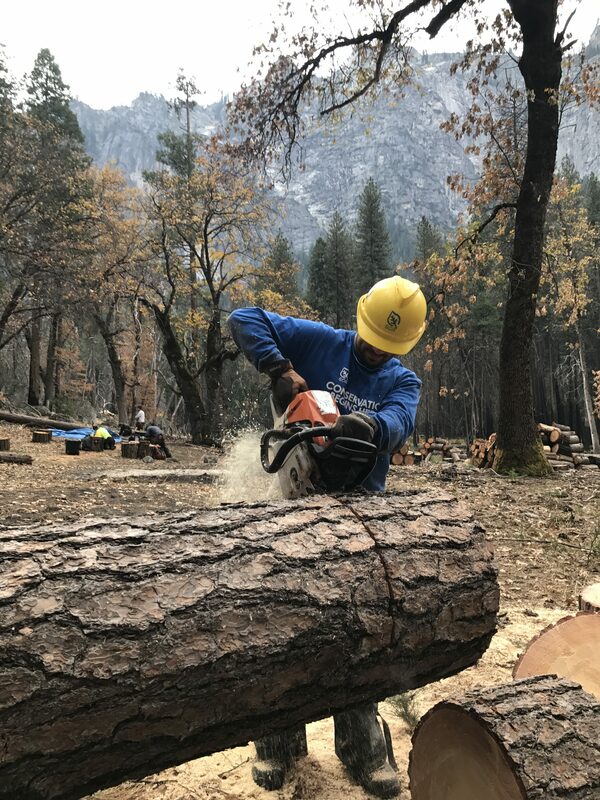 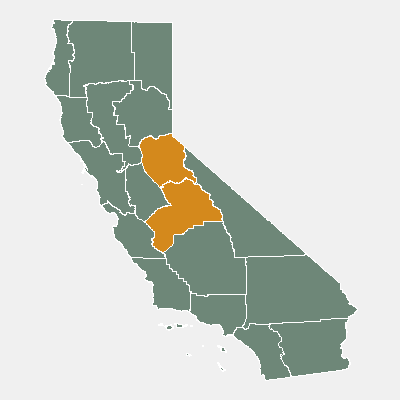 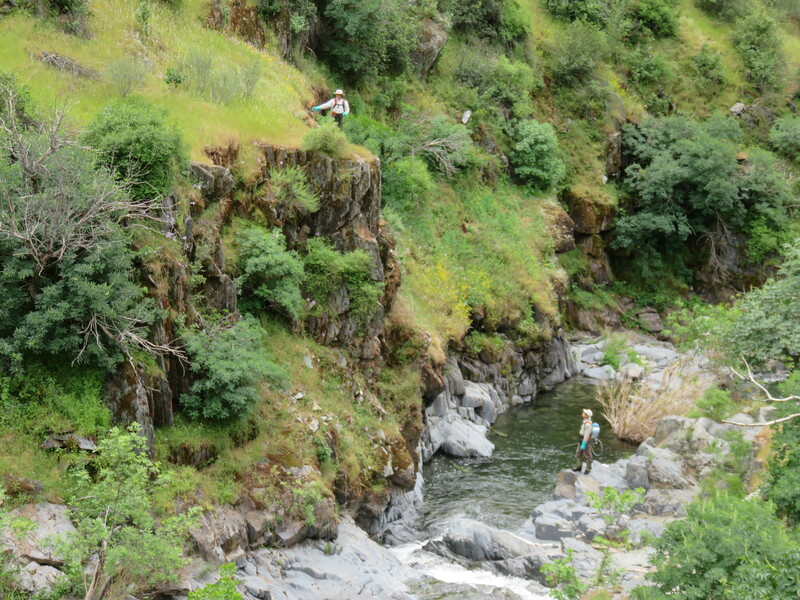 of Food and Agriculture and county Agricultural Commissioners in the Central Sierra, is working to control invasive plants that threaten to spread into areas with extensive tree mortality. 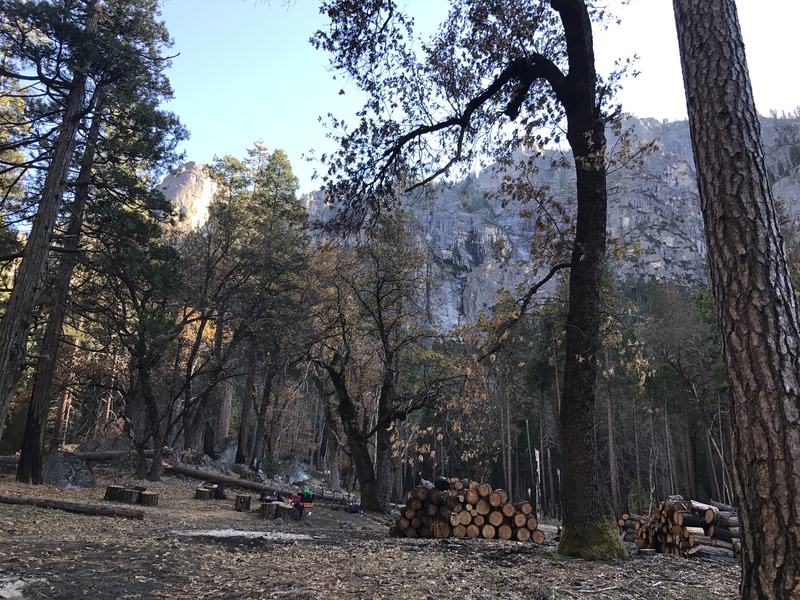 Drought conditions have enabled native bark beetles to kill millions of trees in the region, making it more important than ever to control invasive plant populations which can spread into disturbed areas (more information on tree mortality in the Sierra). 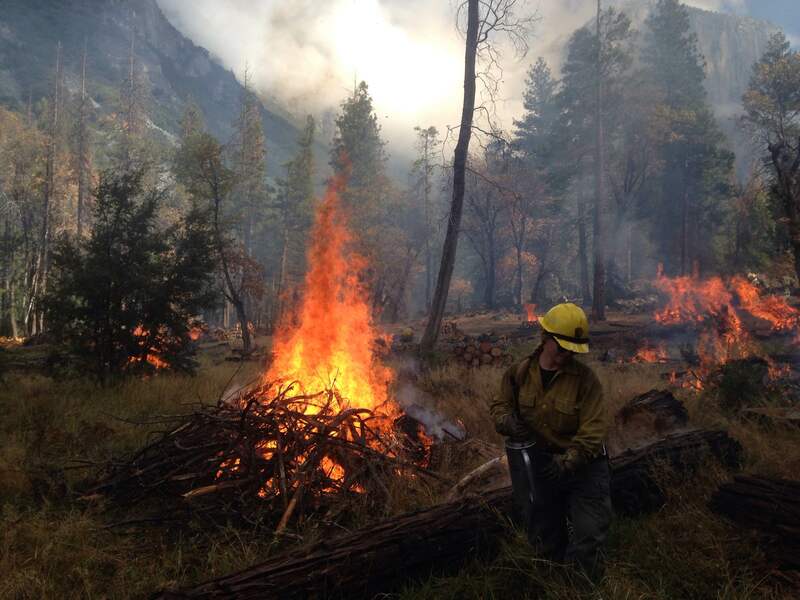 To support prioritization of particular species and populations for control, Cal-IPC has integrated spatial data on tree mortality from Calfire into the online CalWeedMapper tool. 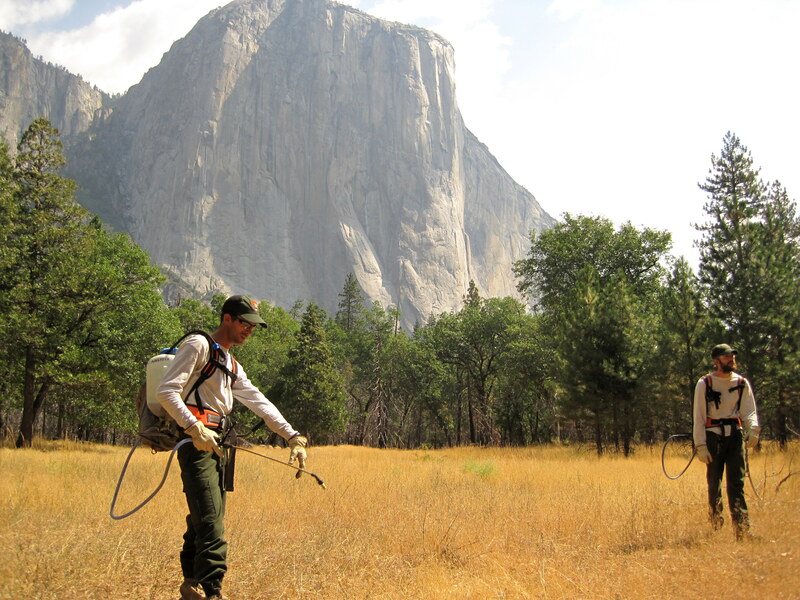 Regional partners from the Central Sierra, including the Sierra, Sequoia, Stanislaus and Eldorado National Forests, Yosemite and Sequoia/Kings Canyon National Parks, and county agencies are collaborating to address the top priority invasive plant populations. 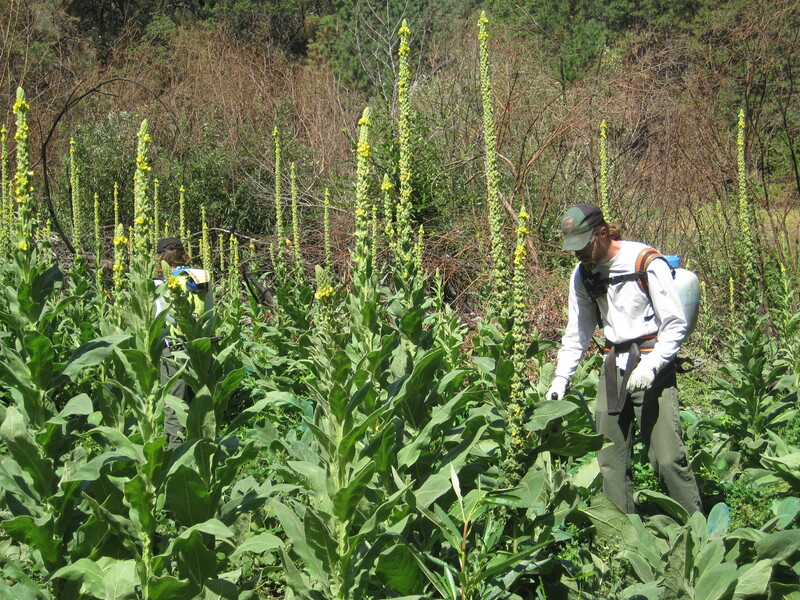 Containment of key populations of high-priority invasive plant species in the Central Sierra to prevent spread into areas disturbed by extensive tree mortality.